Saro Gooseberries are small and green in shape. These are carefully picked to provide that tangy flavor.They are often consumed as pickles or directly with salt. 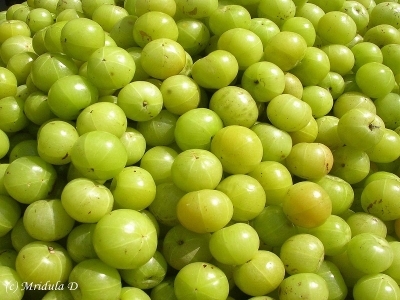 Saro green gooseberry may have a sharp taste at first, but just as the bitter gourd, this fruit was always known for their medicinal value as it was a great source of fiber and vitamins. The right amount of Saro green gooseberry is also helpful in bringing down the blood sugar as the pump up the production of insulin in the body.